Outside: "Move over boys . 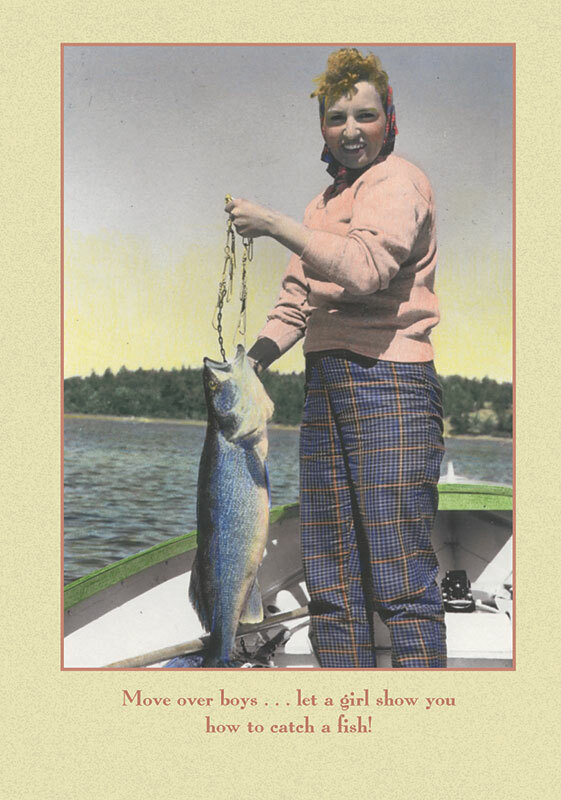 . . let a girl show you how to catch a fish!" 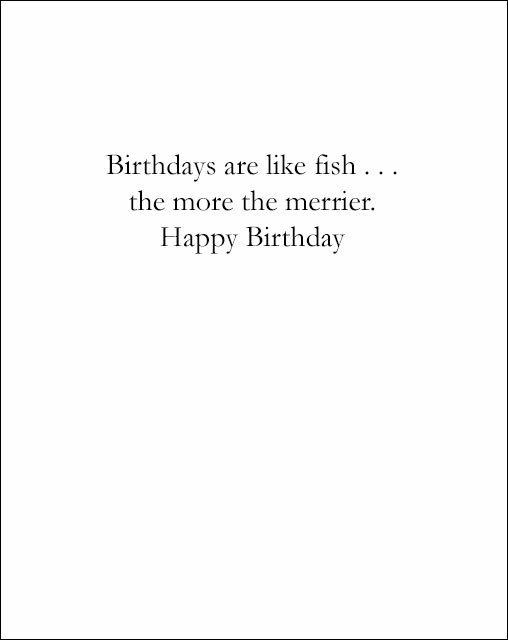 Inside greeting: "Birthdays are like fish . . . the more the merrier. Happy Birthday"
5" x 7" card features a hand colored vintage photo. Comes with a colored envelope. Printed in USA on paper from responsibly managed forests.